I wish I could post this bigger, please CLICK on it to really get your mouth-watering. Have I mentioned how much I love whipped cream and lemon and pie and being frozen? Actually I hate being frozen, ask my toes, they where frozen on many a Vermont ski lift in – 25 C° when my dad would insist the weather (howling wind, sleet) was perfect for a full day of skiing. Amongst the many recipes included in the magazine was a picture of the above dessert. How could I refrain from making it? It’s billowy and loaded sky-high with luscious whipped cream and dense lemon filling all situated on a thick buttery graham crust. 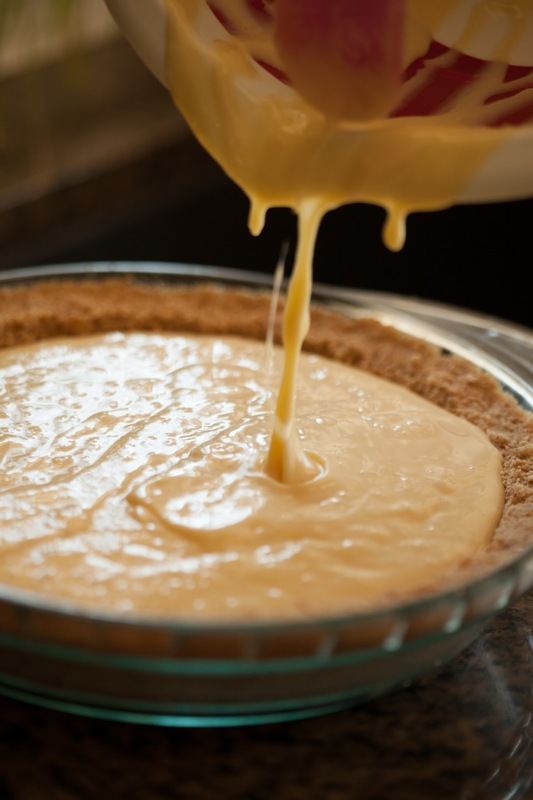 You start by combining melted butter, graham crumbs and sugar in a food processor and pack that into a 9″ deep dish pie dish. Once this is done you can set it aside and begin juicing your lemons. About 8-10 lemons make for 2 cups fresh juice. 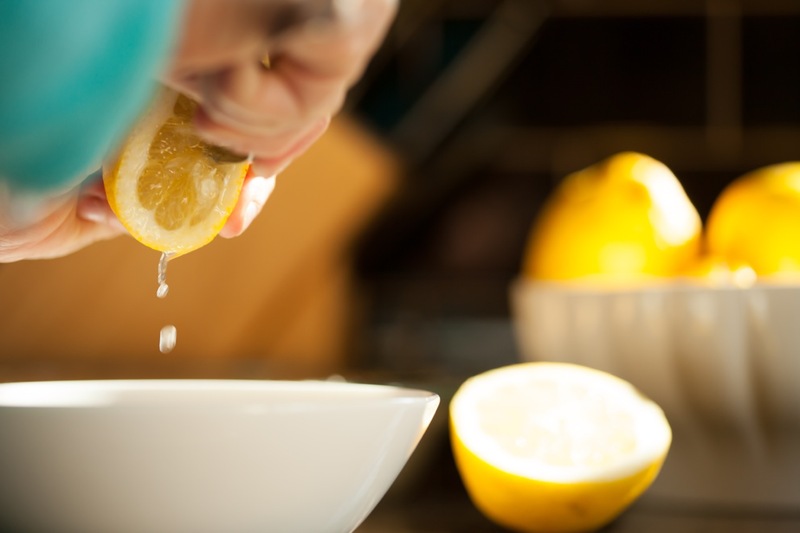 I find the easiest way to juice lemons is by twisting the lemon around a fork, gets as much juice out as possible. 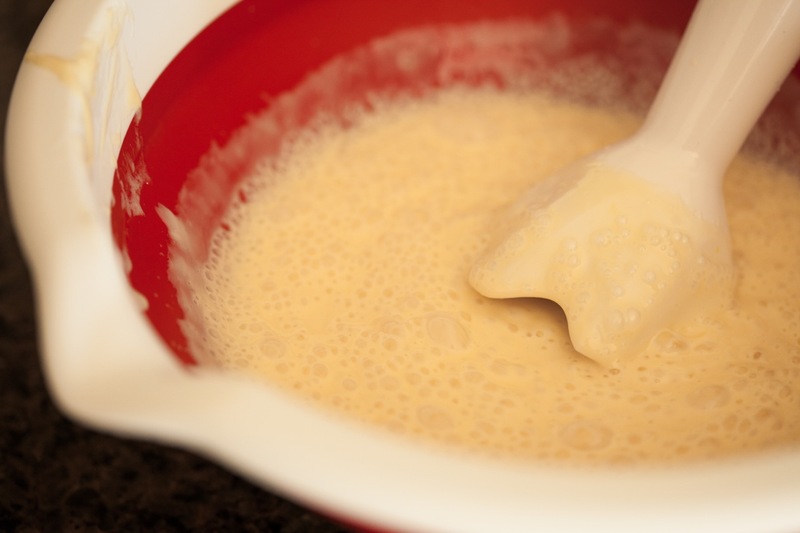 You then combine the lemon juice with 2 cans sweetened condensed milk and 2 egg yolks. 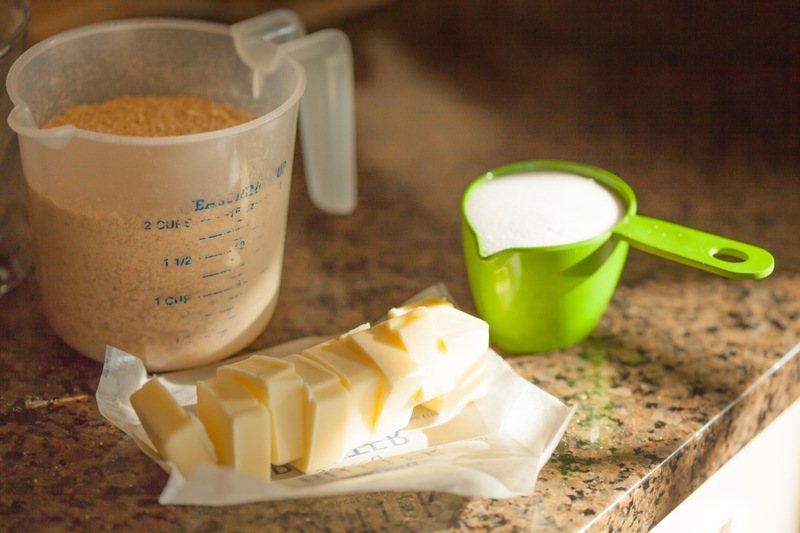 Best of all–you get to scrape out and lick the remaining condensed milk off your fingers. Then beat til frothy, about 5 minutes. 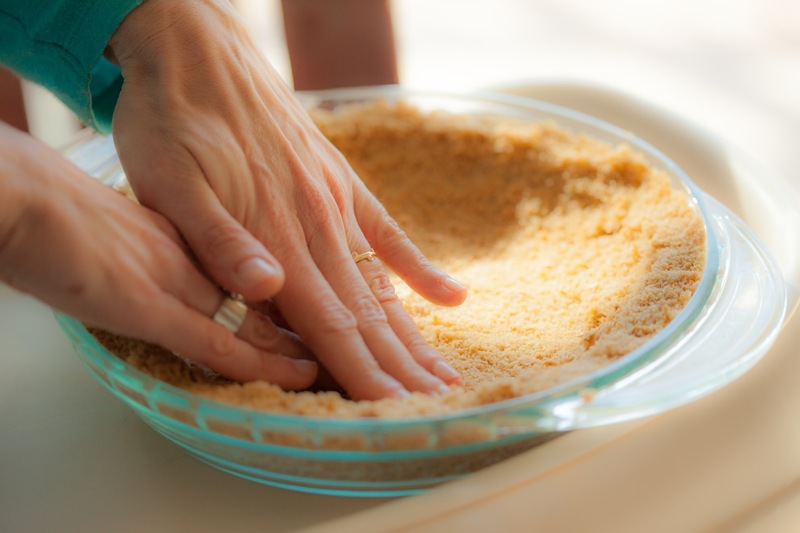 And pour into your graham crust after many tastes to ensure everything is A-OK. You are a perfectionist after all. The pie now goes into the oven for about 20 minutes at 400 F°. Admission: I altered the recipe as this pie dish was the only one we had and was obviously not deep enough for all the lemon filling. So I halved the lemon filling in the version I made. I then only baked it for 10 minutes to adjust for the thinner lemon layer. You want to just set the filling and get the crust golden. It will finish setting in the freezer. 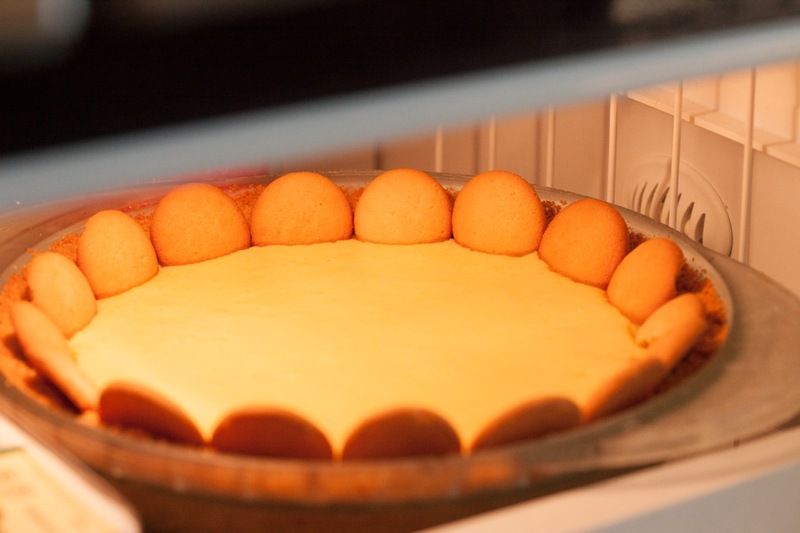 Once out of the oven settle the vanilla wafers around the edge and in the dense filling. Allow to cool completely. Now into the freezer. The recipe says minimum 2 hours or overnight. We had it in there for about 6 hours. It was quite frozen when we removed it but softened quickly–maintaining a great CHILL in the mouth. Once out of the freezer add your whipped cream (3/4 cup). You can serve immediately or put the pie in the fridge until you can’t stand to be without it any longer. While whipping the cream, I questioned the lack of even a teeny bit of sugar but held back and only add the suggested vanilla. Ultimately, the creamy naked whipped cream top was perfect with the sweet lemony basement layer. 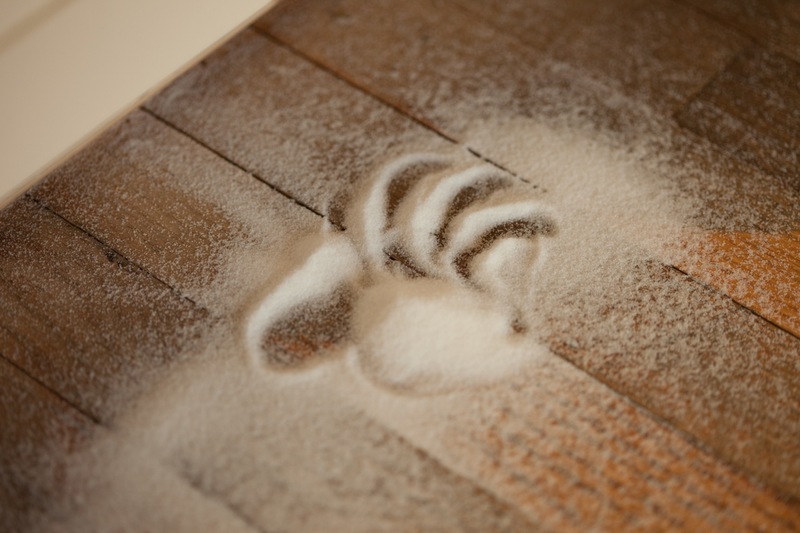 And if you do spill some sugar during this whole process….be creative with it. 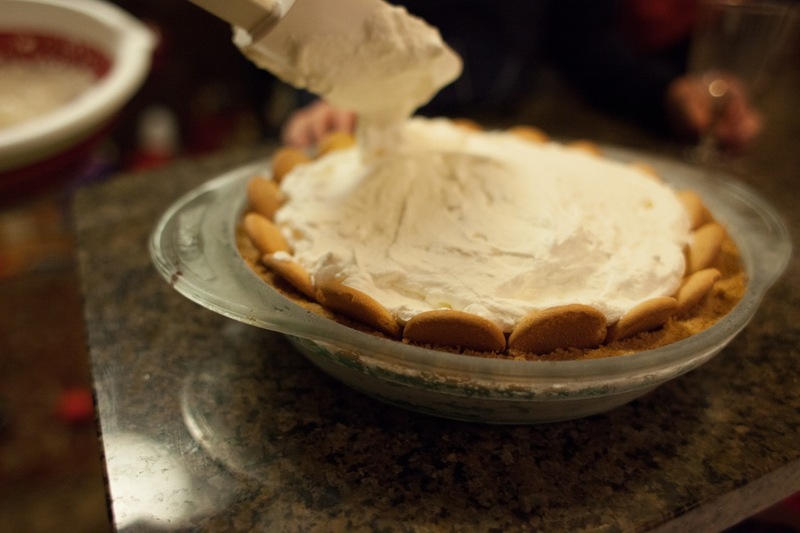 Especially if you’re almost three and this is your birthday pie…. 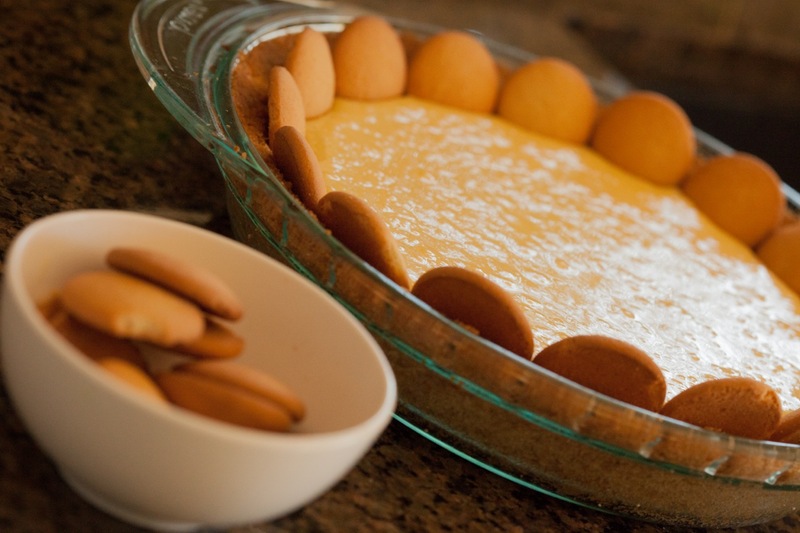 Here is the link to the actual recipe for Lemon Icebox Pie, it’s ridiculously simple to make and people will be Mmm, Mmm, Mmming like mad. THANKS to my brother Dave for taking all these pictures. Check out his macro photography. It’s unbelievable. yes–we all loved it. And luckily had your pie dish to use! It’s really simple. Happy birthday to the wee chef-in-training! Looks delish- thanks for sharing the extra-large pic. My brother’s fave is lemon pie and he always wanted it for his birthday :). 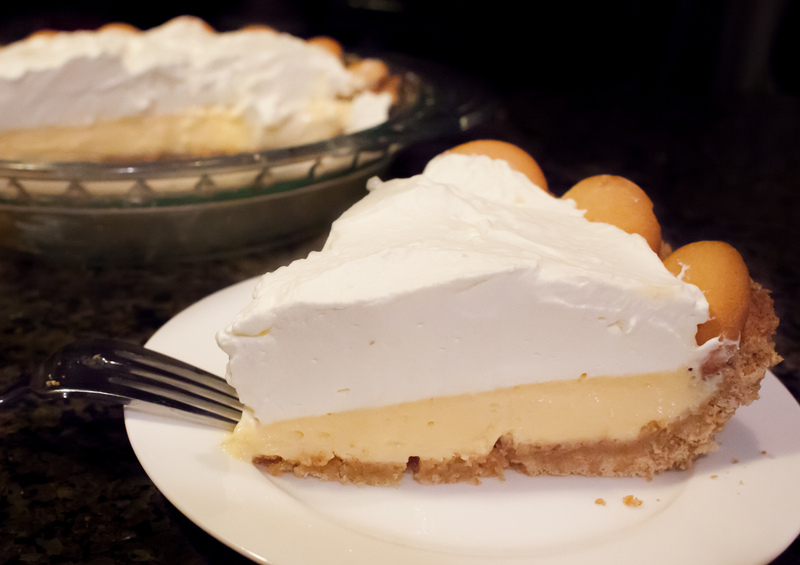 I love lemon pie, and this year found the wonders of making my own whipped cream. Yum Yum, I’m going to Pin this and save it to make later. 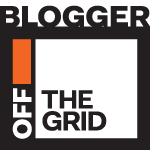 Thanks for visiting my blog, looking forward to trading recipes.